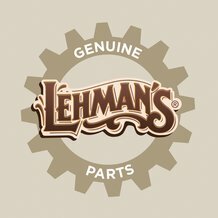 Whether you live off the grid or just want to simplify your life, the kerosene and gas cook stoves, ranges and accessories available at Lehman's will give you plenty of choices to free up your lifestyle. Our wood cook stoves and other stoves and ranges will help you cook delicious meals with an unbeatable taste while providing natural warmth. We offer one of the nation's biggest wood cook stove collections. Our wood cooking stove selection gives you a variety of styles and sizes, letting you suit virtually any space or cooking preferences. The intoxicating smell of burning firewood combined with the delicious taste of the dishes you cook on stovetops or in the oven will make everyone's mouth water. We have more than 60 years' experience stocking and servicing these stoves and can even help you find a local installer for your cook stove. Wood cook stoves are great way to cook, but if you are looking for another type of fuel, we carry plenty of clean-burning gas and kerosene cook stoves. We also have all the accessories you will need, from wicks and heat shields to owners' manuals and cookbooks.